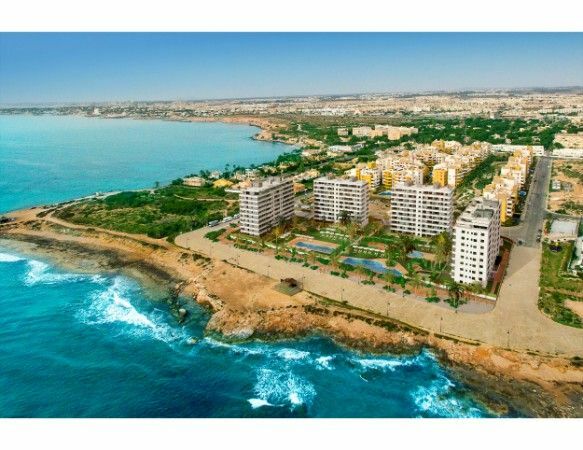 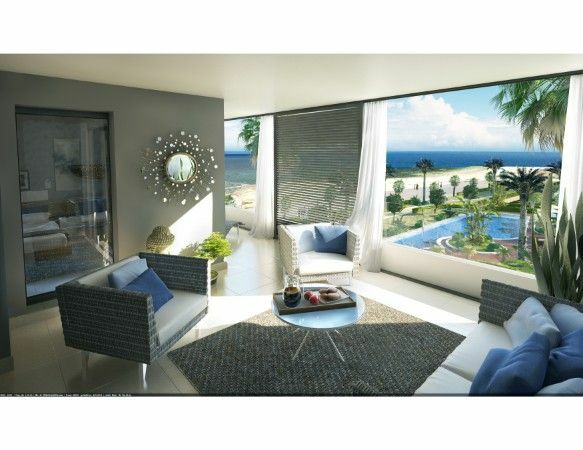 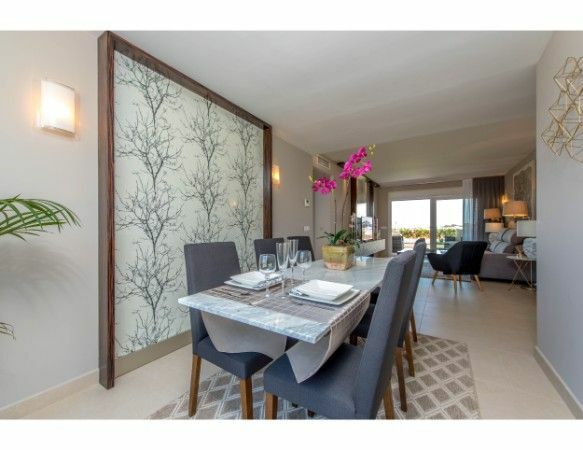 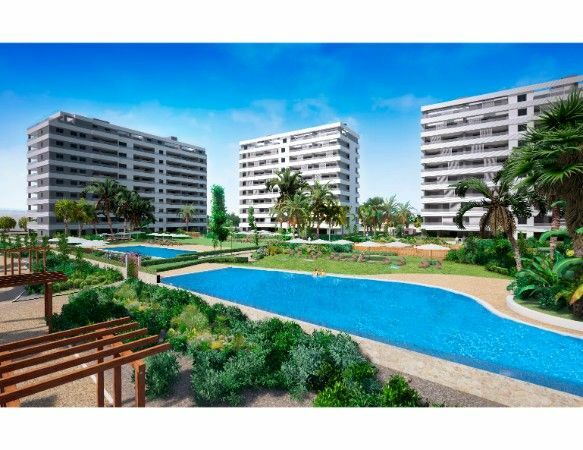 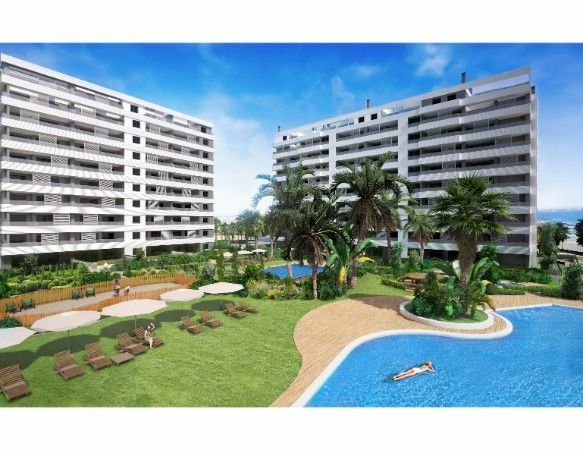 2 and 3 bedroom beach front apartments with big terraces facing the sea in Punta Prima, Torrevieja. 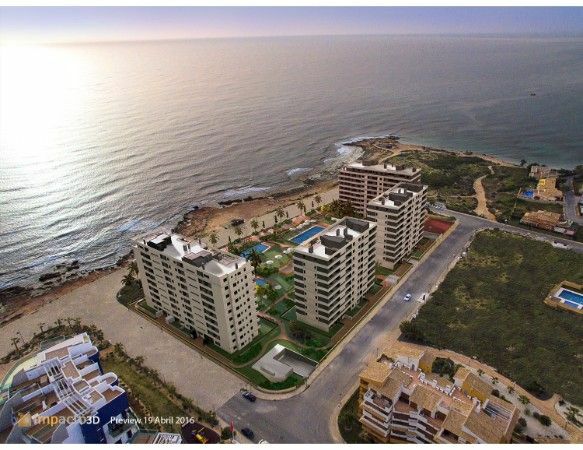 This little area in the outskirts of Torrevieja is a quiet corner of the South Costa Blanca with a small but charming beach and close to all kind of services. 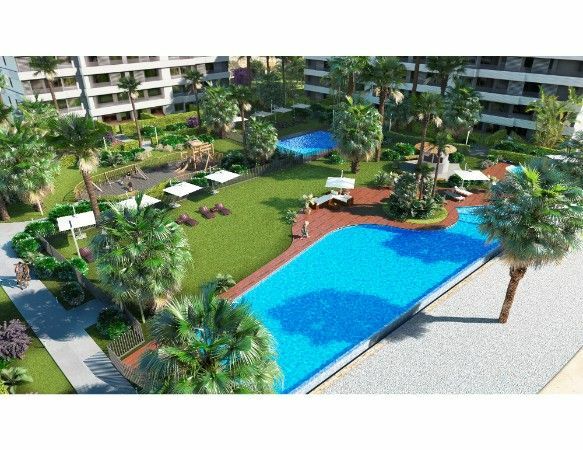 Carrefour, bazar, restaurants or international shops can be found nearby. 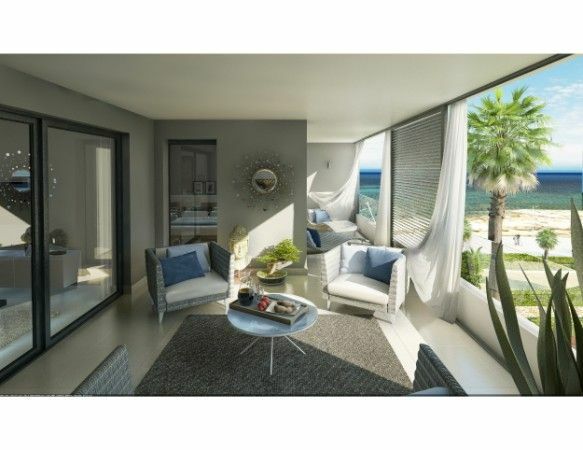 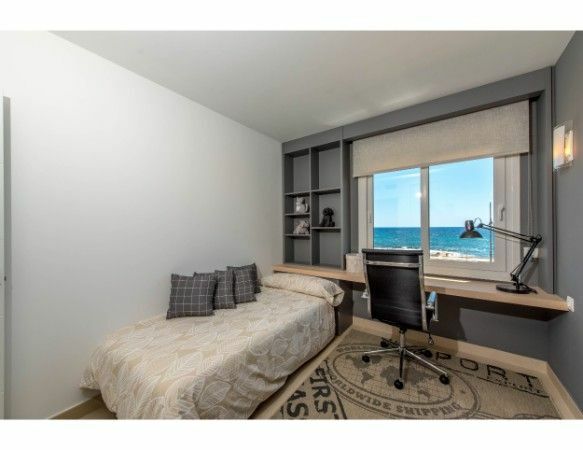 This development offers stunning sea views from big terraces facing the sea, all within a fully equipped complex featuring swimming pool, green areas and sports facilities, amongst others. 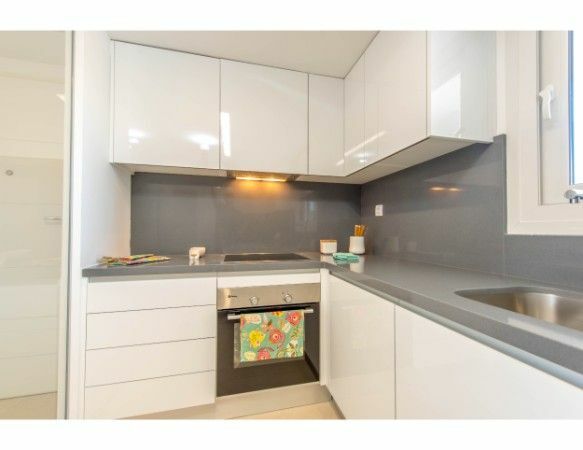 The apartments are built with the highest standards, including air conditioning, heating, fully furnished bathrooms, fully furnished kitchen, amongst others. 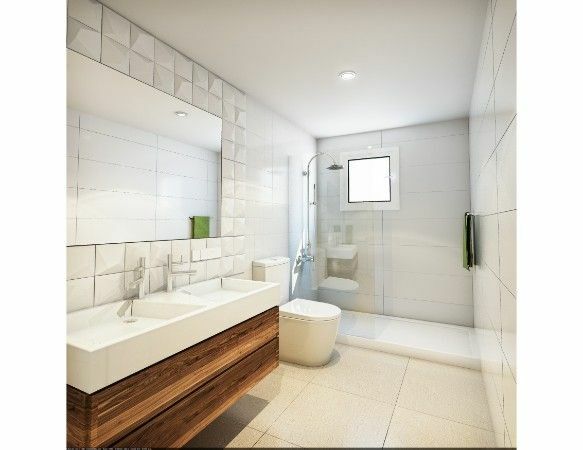 A garage space and storage room are comprised in the price.